Iran Press/Middle East: Iraq's foreign ministry spokesman, Ahmad al-Sahhaf has reiterated that his country and Iran have deep-rooted and historic relations and officials on both sides can further expand these relations in a friendly framework. 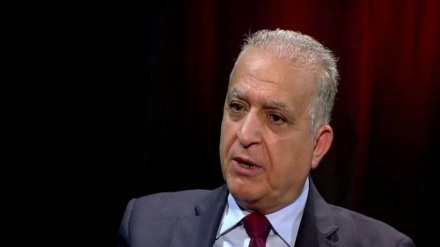 In an interview with Press TV, al-Sahhaf stressed that Iraq will not allow US to use Iraqi soil to act against neighboring countries, especially against Iran. 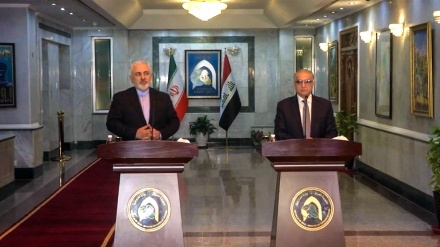 According to an Iran Press report, pointing to the recent visit by Iranian president, Hassan Rouhani to Iraq and his meeting with his Iraqi counterpart, Barham Salih and other senior Iraqi officials, al-Sahhaf said: "I believe the meeting had considerable effect in enhancing regional stability and further proximity of the two nations". 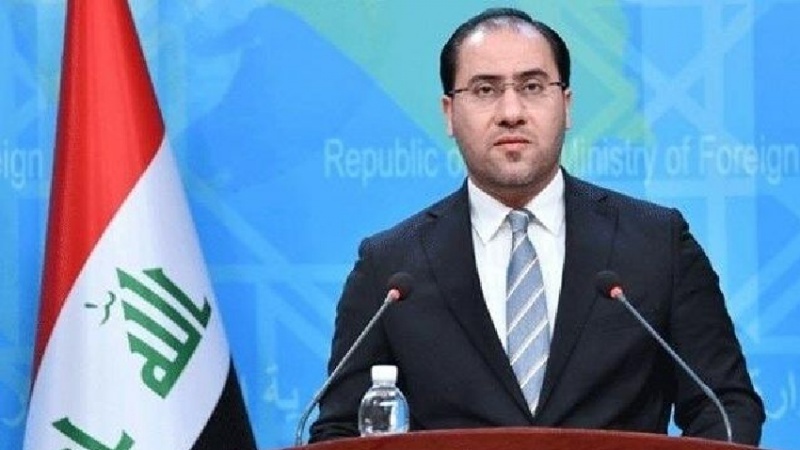 "We believe that security requires constant dialogue, cooperation and close relations amongst countries and Iraq's foreign minister, Ali al-Hakim has reiterated on this issue," said al-Sahhaf citing that security and stability in Iraq is in the best interests of regional countries. Earlier on 4 February, Iraqi President said that US president Donald Trump did not ask Iraq permission to watch neighboring Iran. Iraq's foreign ministry spokesman stated that: "After years of resistance and sacrifice and with the help of popular forces who joined Iraq's military forces after Ayatollah Sistani's fatwa, we defeated Daesh". He added: "We managed to win the battle against ISIS, the most serious threat to Iraq's security and now, once again time has come for Iraq and its people to play their role in the region." Al-Sahhaf added: "After defeating ISIS, Iraq intends to reclaim its rightful place on international platform; so, we are following up strategic and security plans." He added: "We are trying to shape our future and, we welcome every nation who assists us to achieve that goal". Reacting to US claims about staying in Iraq to keep an eye on Iran's activities, Al Sahhaf said: "Iraq allows no one to use its territory to harm our neighbors". Pointing out to Iranian president's recent visit to Iraq and its importance in strengthening and expanding relations and high degree of understanding between the two nations, Al Sahhaf mentioned that during the visit, delegations from both sides have negotiated about different issues, signed numerous cooperation agreements on industry, agriculture, healthcare, tourism, transportation, and national security. He stressed that these agreements 'are very important for both countries and provide more opportunity for future cooperation'. 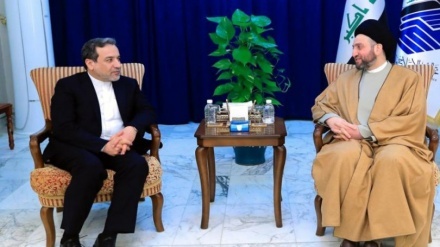 "In the visit, there was some negotiations about establishing rail and roads connection that can enhance trade relations between Iran and Iraq", said Al Sahhaf, continuing that "An agreement signed on countering organized crimes and building up security in border regions. Our brother, Islamic Republic of Iran is trying hard to provide security along the shared border, and its outcome is visible in terms of security of both countries". President Hassan Rouhani, on his trip to Iraq, voiced Iran's determination to increase the volume of trade with neighboring Iraq from the current $12 billion to about $20 billion. "The Iranian and Iraqi nations have always been together in recent years in creating security and stability; the Iranian nation and government are very happy that they have been alongside the Iraqi nation and army from the beginning in their fight against terrorism," Rouhani said.